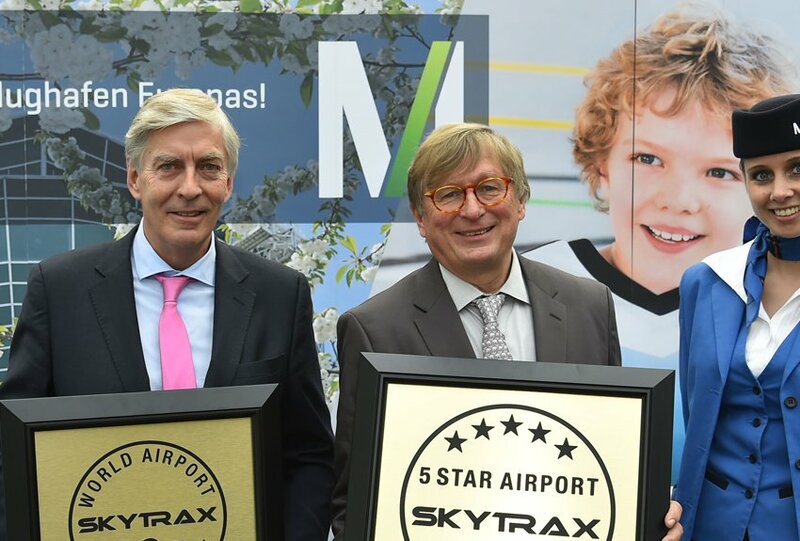 Munich Airport’s 5-Star Quality Rating has been renewed by Skytrax, the international air transport rating organisation. In retaining the 5-Star rating, Munich Airport remains the only airport in Europe to hold this status. The 5-Star Airport rating is a top quality recognition that can be achieved by an airport, with just 6 major global hubs holding 5-Star status, and Centrair Airport, Nagoya being a 5-Star Regional Airport. This rating of Munich Airport in 2017 recognises the standards of product and staff service provided in front line areas across airside and landside areas. 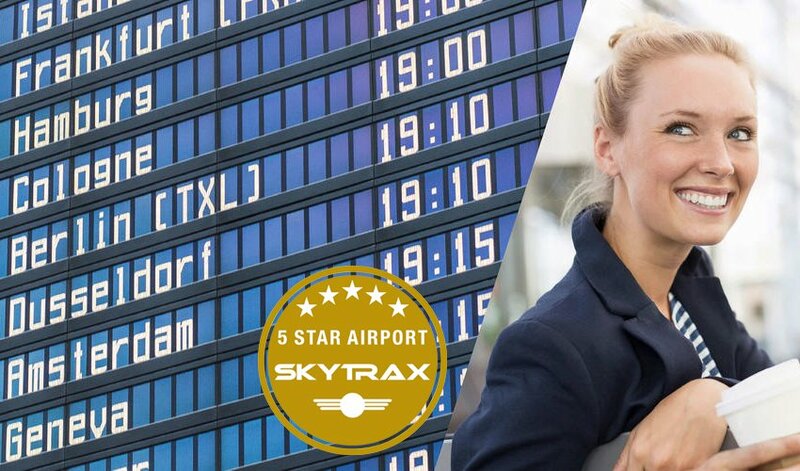 First awarded the 5-Star rating in 2015, the Skytrax Audit in March 2017 noted that Munich Airport has further improved. 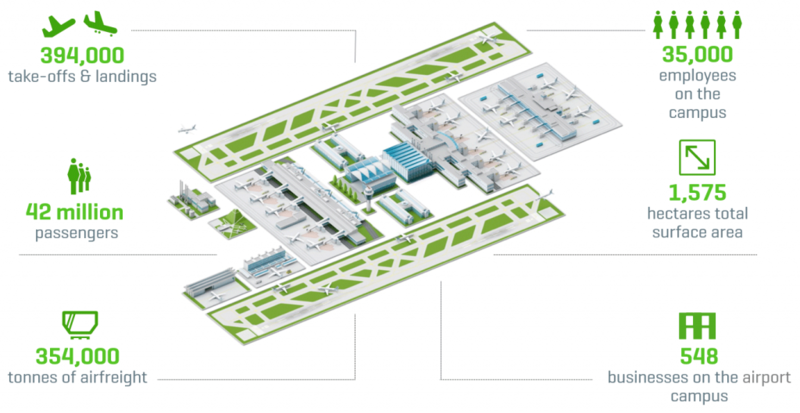 The new Terminal 2 Satellite building, new security processing systems in Terminal 1 and enhanced front line service standards have led to the strengthening of Munich Airport quality rating. A primary focus of the 5-Star rating is that an airport must offer an easy and pleasant travel experience to customers, including items such as wayfinding and signage, seating and comfort, food and beverages to security and immigration processing, and these are all highly rated at Munich Airport. Cleanliness and presentation of the airport public areas is also a high priority factor in the Skytrax Audit, with the need for an airport’s mass processing of customers to provide an assurance of hygiene. 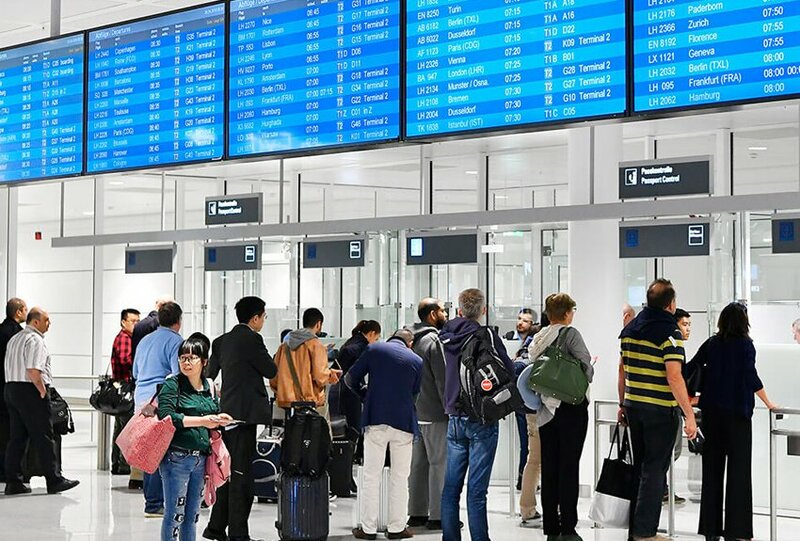 All terminal areas including washrooms, seating areas, and other front line facilities are subjected to rigorous tests, and Skytrax report that these items meet Best Practice standards in Munich Airport. 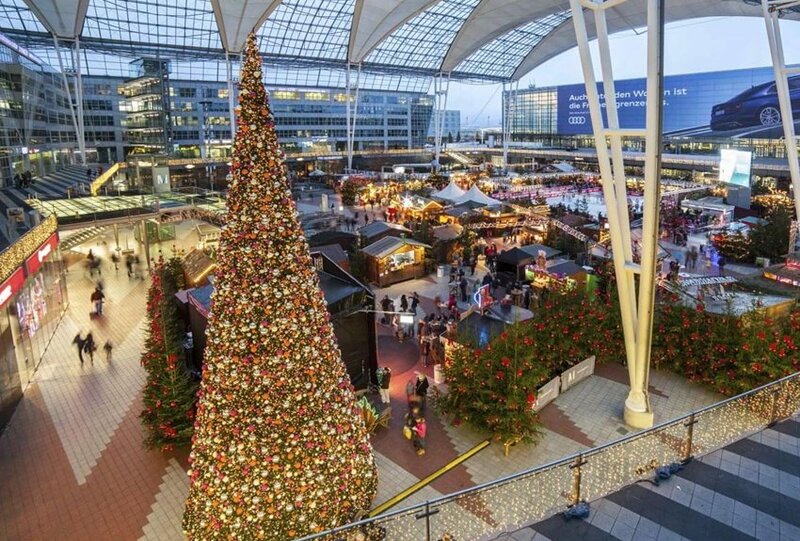 Distributed on 43,000 square metres at Munich Airport you find about 65 restaurants, cafes and bistros at Munich Airport. Enjoy a vast selection of international cuisine – Bavarian specialties and home-brewed beer at a beautiful beer garden, Asian delicacy or fast food. Enjoy Bavarian comfort food in a relaxed and friendly setting with rustic furnishings at Sportalm. 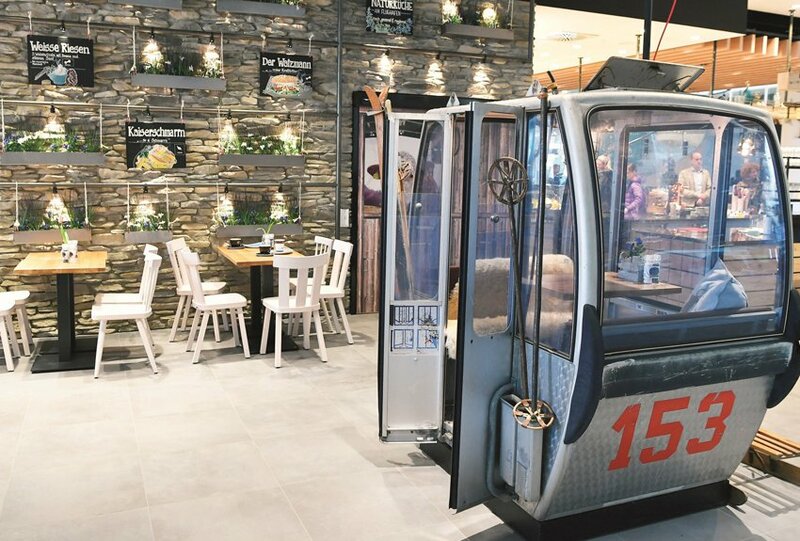 The log cabin décor, a sun terrace and a real ski lift gondola create the authentic feel of a pleasant outing in the mountain air – with down-to-earth cuisine to match. It’s a paradise for mountain climbers, nature lovers, ski bums and those who just like to chill in the sun. 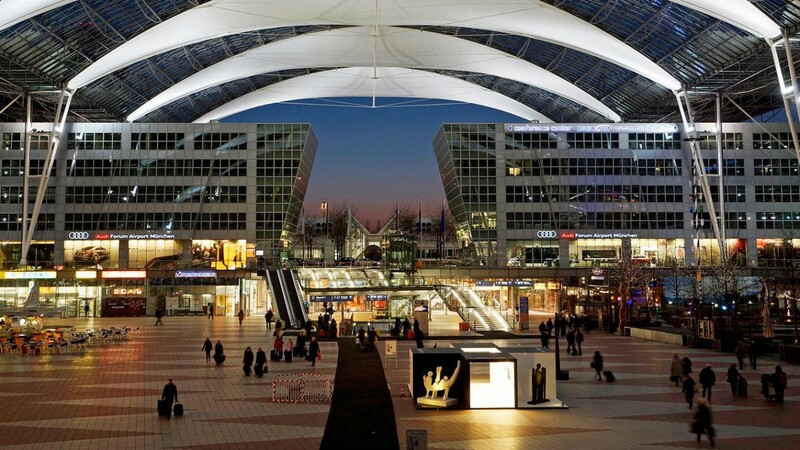 Skytrax completed the quality audit of Munich Airport in March 2017, examining in detail all product and service delivery areas across the terminal operational features.